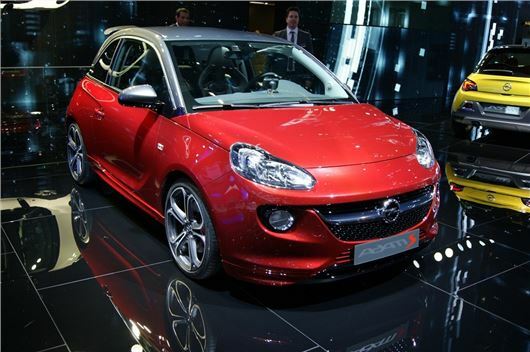 A 150PS version of the Vauxhall Adam has been announced at the 2014 Geneva Motor Show. Power comes from a 1.4-litre turbocharged petrol engine and there are uprated brakes and suspension components to help the car cope with the extra power. There are 16-inch front and 15-inch rear brake discs, which means the car rides on large 18-inch alloy wheels. The styling is sportier, with a larger rear wing and red/grey paintwork. In the cabin the red and grey theme is continued, with a red leather steering wheel and Recaro sports seats. The car is described as ‘close-to-production’ but that effectively means they’re still perfecting things – the production car should have the same styling and the same power output as the show car. Sales should start later in the year and you can expect the Adam S to be the most expensive model in the range, starting at approximately £16,000.